The Canadian wine business of US-based international beer, wine and spirits producer and distributor Constellation Brands is to be acquired by institutional investor Ontario Teachers’ Pension Plan for approximately C$1.03 billion ($782.5 million). Operating in the US, Canada, Mexico, New Zealand and Italy, Constellation Brands is described as the market leader in Canada with almost three times the market share of its second competitor and 7 of the top 20 wine brands in the country. It produces domestic and international wines including Inniskillin, Jackson-Triggs, Kim Crawford, Robert Mondavi, Ruffino, Sawmill Creek and Wallaroo Trail. 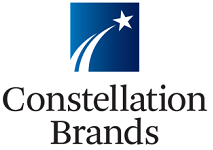 Constellation Brands Canada is headquartered in Mississauga and operates three commercial wineries, five estate wineries, and 163 Wine Rack stores throughout Ontario. Commenting on the deal, Constellation Brands president & CEO Jay Wright said: “Our Canadian management team is excited about working with Ontario Teachers’ to take our business vision to the next level. Their financial commitment and considerable expertise in helping their portfolio companies achieve meaningful strategic market advantages set the stage for an exciting partnership”.